Tartan There are 5 products. 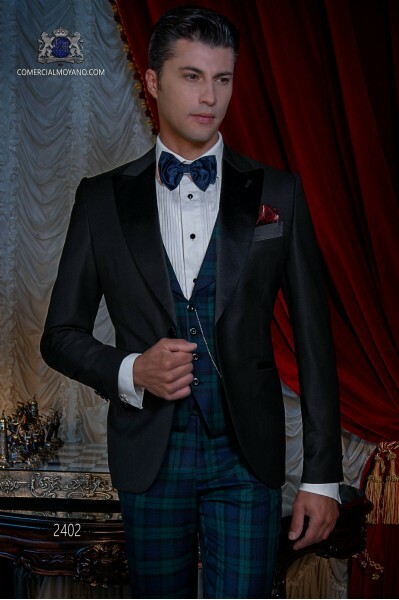 Italian black bespoke tuxedo with black peak lapels and 1 covered button combined with a tartan trousers. Blue wool mix fabric. 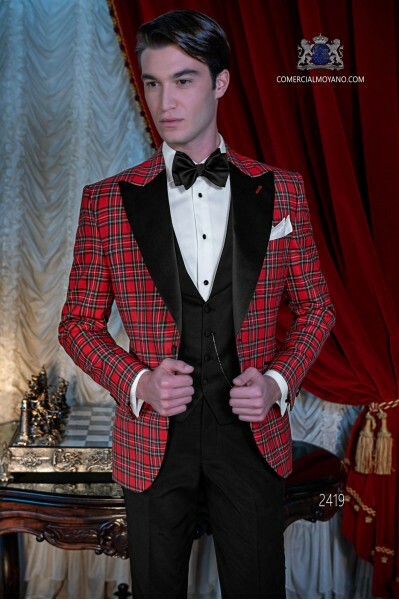 Tuxedo Wedding suit 2403 Black Tie Collection Ottavio Nuccio Gala. Black Watch tartan wool fabric trousers and waistcoat with shawl collar and 4 buttons. Italian black tuxedo with black contrast lapels. Jacket with satin shawl collar and 1 covered button. Black pure cool wool fabric. Tuxedo Wedding suit 2404 Black Tie Collection Ottavio Nuccio Gala. Royal Stewart tartan wool fabric trousers and waistcoat with shawl collar and 4 buttons. 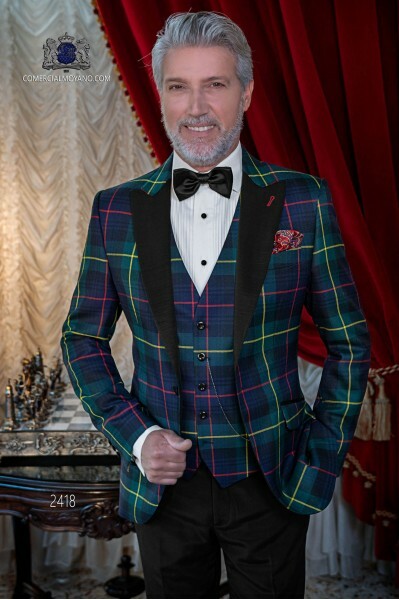 Italian bespoke red suit in 100% wool tartan Royal Stewart fabric with black satin lapels and black trousers, Tuxedo Wedding suit 2419 Ottavio Nuccio Gala, Black Tie collection. 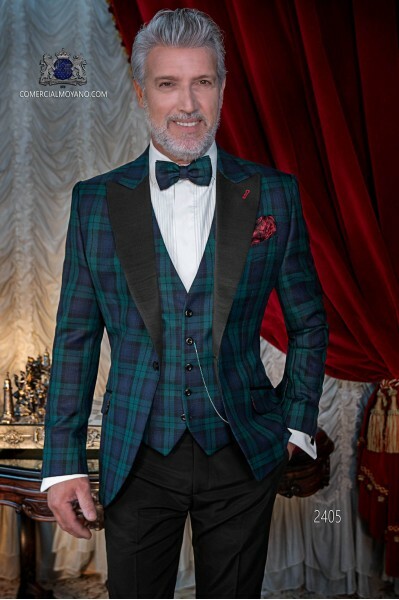 Italian bespoke green suit in 100% wool tartan Royal Stewart fabric with black satin lapels and black trousers, Tuxedo Wedding suit 2418 Ottavio Nuccio Gala, Black Tie collection.